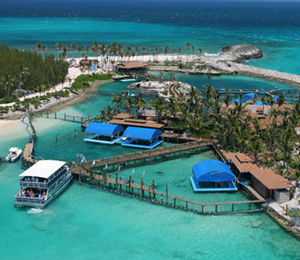 Blue Lagoon Island is easily one of the most well-loved and respected destinations anywhere in the Bahamas. Located just a short ferry ride from the shores of Nassau and Paradise Island, this beautiful island is home to some of the best beaches in the Bahamas (and that is saying a lot since the Bahamas are well known for their beautiful beaches)! 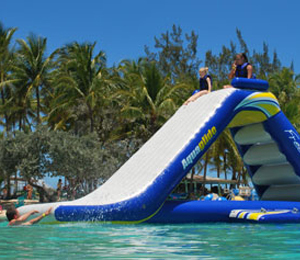 When you find yourself on Blue Lagoon, you will find yourself in a Bahamian-style paradise, complete with a delicious Bahamian cafe and endless options for watersports and activities! 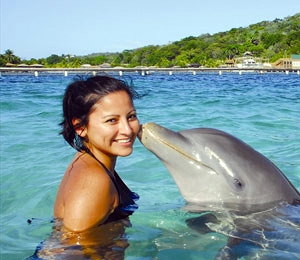 Also on Blue Lagoon you will find a world-class Dolphin and Sea Lion center. At this center, you will get the chance to interact with a friendly and animated team of Atlantic bottlenose dolphins and sea lions! Imagine a day out on a true island beach paradise. Blue Lagoon Island is such a place. Remote and never crowded, this island just off the coast of Nassau features white sand beaches and clear, warm waters. Take your whole group out for a day of fun and relaxation in this small Caribbean island! 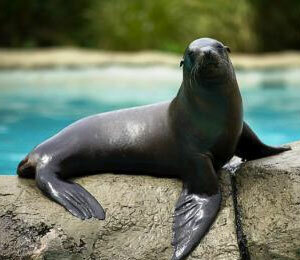 The newest addition at Blue Lagoon Island is the Sea Lion Encounter. 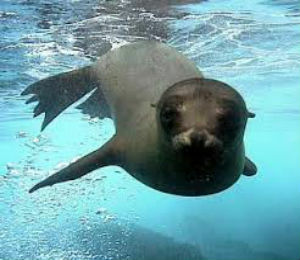 These lovable sea lions are provide a truly memorable experience with our guests. Sea lions are just as friendly and animated as the dolphins, and therefore they fit right at home at the Blue Lagoon Island Dolphin Center! 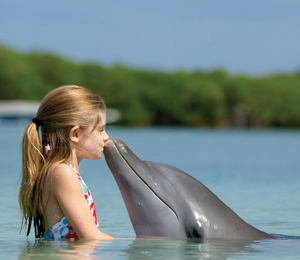 Come out to the famous Blue Lagoon Island dolphin sanctuary to come face to face with the friendliest and most fascinating of sea creatures, the bottlenose dolphins. You and your whole family will get to play, touch, and interact with these amazing animals. The highest level of engagement you can get with the majestic bottlenose dolphins, our Bahamas dolphin swim tours are sure to enthrall your entire group! 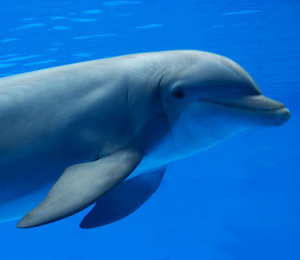 Laugh, touch, play, and swim with these unique creatures and be astounded at how friendly and smart they really are! The Ultimate Dolphin Experience! Meet, hug, feed, play, and make friends with our trained Blue Lagoon Dolphins. Swim with the dolphins on our private lagoon beach as well as in our deep water lagoon for the most interaction possible with these amazing mammals!